When you have one or more missing teeth, it can damage your self-esteem as well as compromise your oral health. Although there is nothing fun about losing your teeth, Alta Dental offers you several options for replacing missing teeth. For many years, removable dentures was the only choice people had for filling in the gaps left by missing teeth. Dentures are artificial teeth connected to a plate or frame that the patient can remove when desired. Some of the drawbacks of dentures are that they don’t appear as natural as other options and they can have a negative impact on speech and chewing abilities. Dental bridges are a non-removable way to replace missing teeth. The procedure gets its name from the fact that Dr. Zaveri must attach metal brackets to the back of each of the surrounding teeth to hold the dental bridge in place. They don’t blend in as seamlessly as dentures or dental implants because of the supporting material required. Many people still prefer a dental bridge to dentures because it remains in the mouth permanently and functions exactly the same way as a natural tooth. Dental implants are the newest method for replacing teeth lost due to dental disease or accidental trauma. When installing your new dental implants, Dr. Zaveri first creates artificial tooth roots. Patients normally have to wait several months between this step and the next, which is when the dentist attaches the new replacement teeth to the roots. That gives the gums and jaw adequate time to heal in addition to allowing the new roots to fuse in place. Because of CEREC technology, Dr. Zaveri of Alta Dental can complete the dental implant procedure in just one visit. This also applies to dental crowns, a procedure used to preserve the integrity of affected teeth. 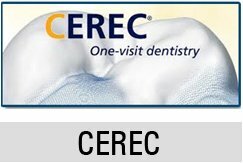 CEREC, which stands for Chairside Economical Restoration of Esthetic Ceramics, makes use of three-dimensional technology to allow your Upland dentist to create indirect ceramic restorations. A computer sends an image of the restoration to an on-site milling machine that makes your replacement tooth and roots. 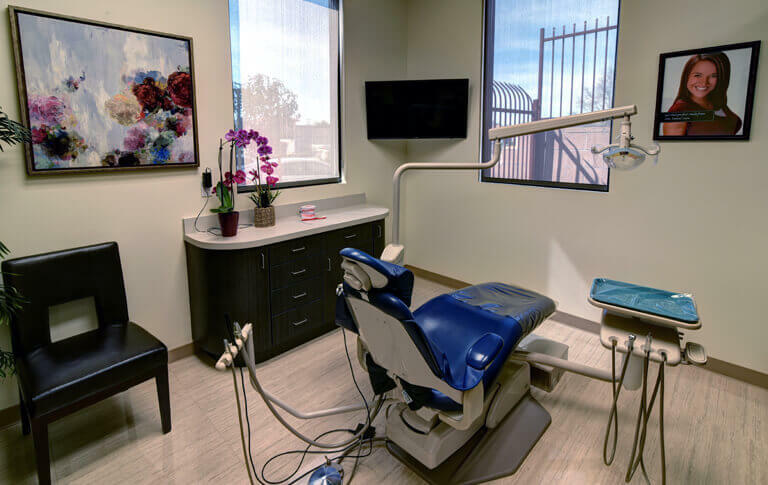 Thanks to CEREC, you do not have to visit our dental clinic for multiple visits over the course of months to receive your dental implants. Although the process is fast, it can also be complex. We encourage you to contact us with questions or to schedule a consultation. Dr. Zaveri will let you know if you’re a good candidate for dental implants using CEREC technology. If not, he would be happy to discuss other options for replacing missing teeth.